The influence of Gen Z in consumer purchases has been evident for over a decade as this generation increasingly influences consumer purchase volume. Businesses must now turn their attention to creating more and better digital, personalized self-service solutions for these digital natives. 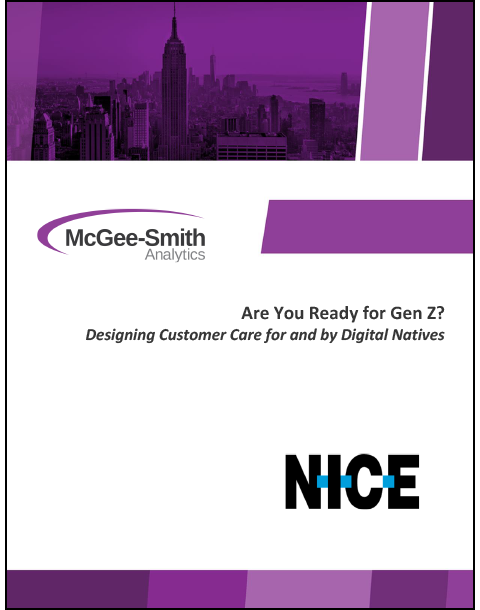 Discover more about impact and influence of Gen Z in this intriguing complimentary white paper authored by Sheila McGee-Smith, founder of McGee-Smith Analytics. You’ll find out how contact centers can begin developing the processes and systems that will enable them to support the “gig economy”.